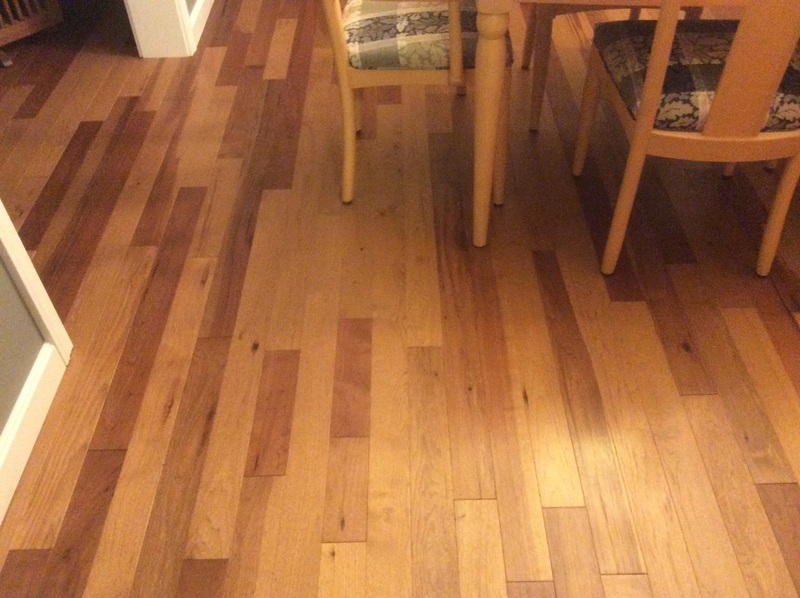 Brazilian Cherry changes color the most over time. 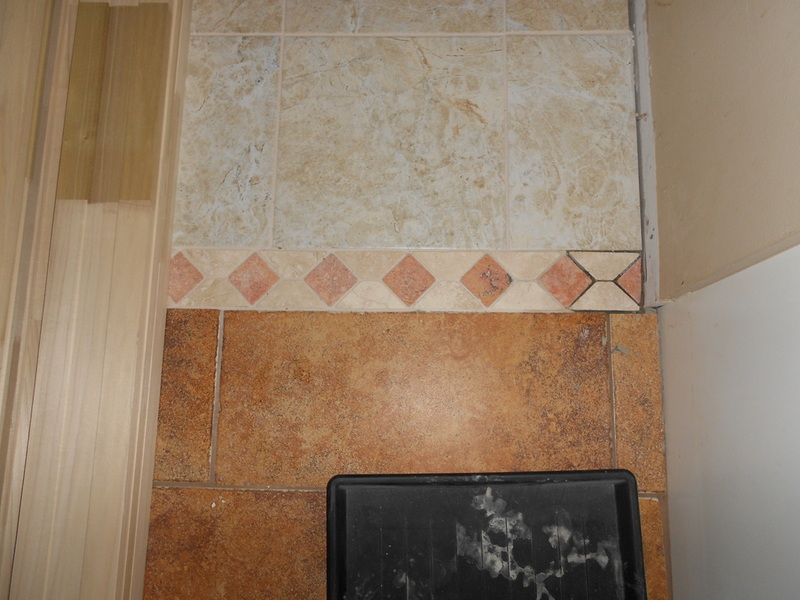 Top left: newly installed; bottom left 6+ months later. 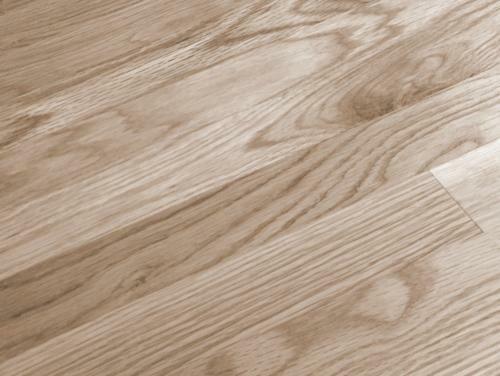 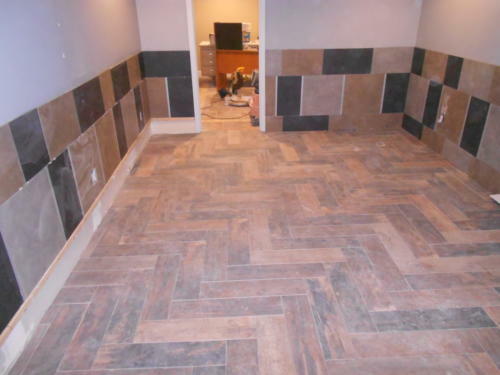 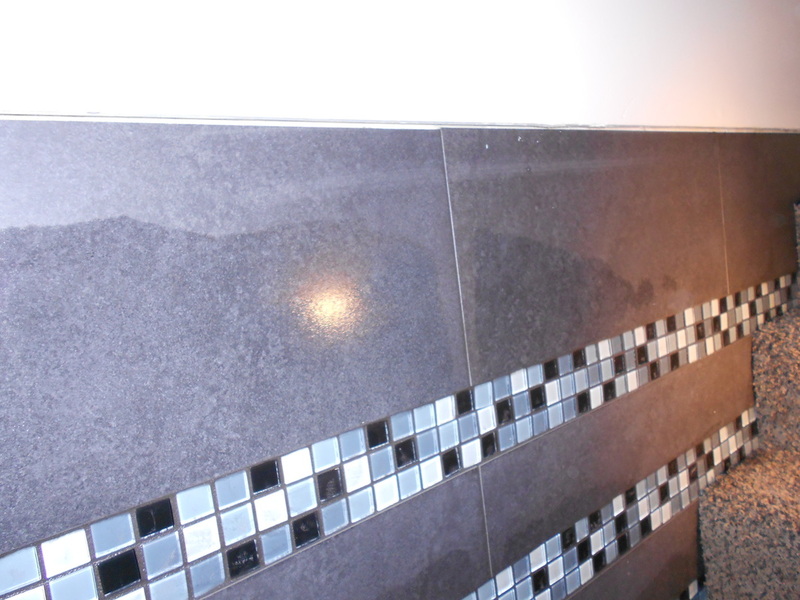 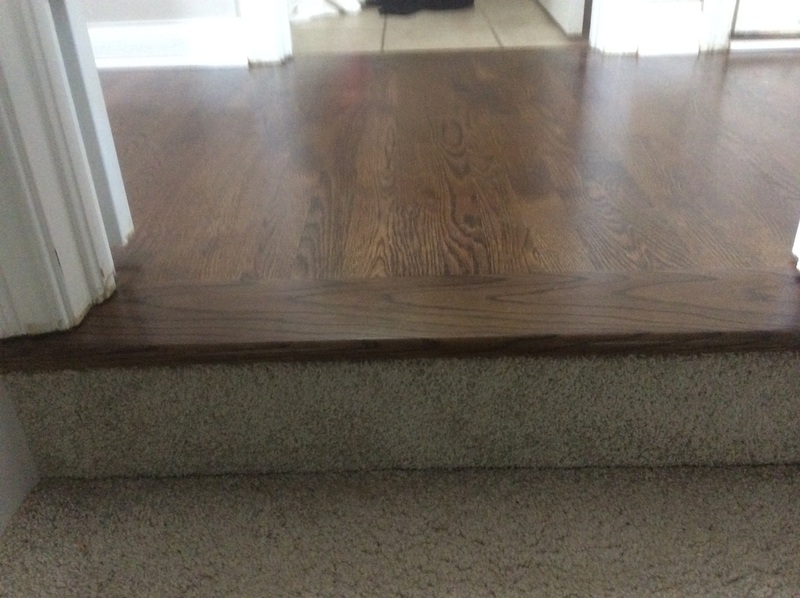 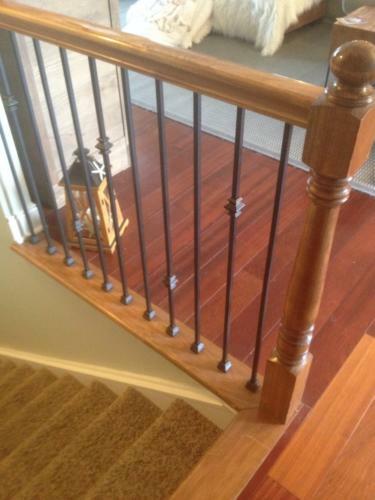 Dark oak with small color change over time. 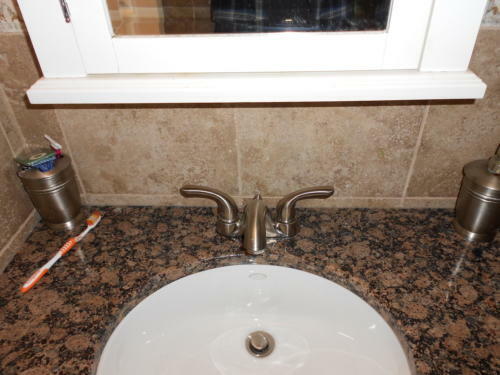 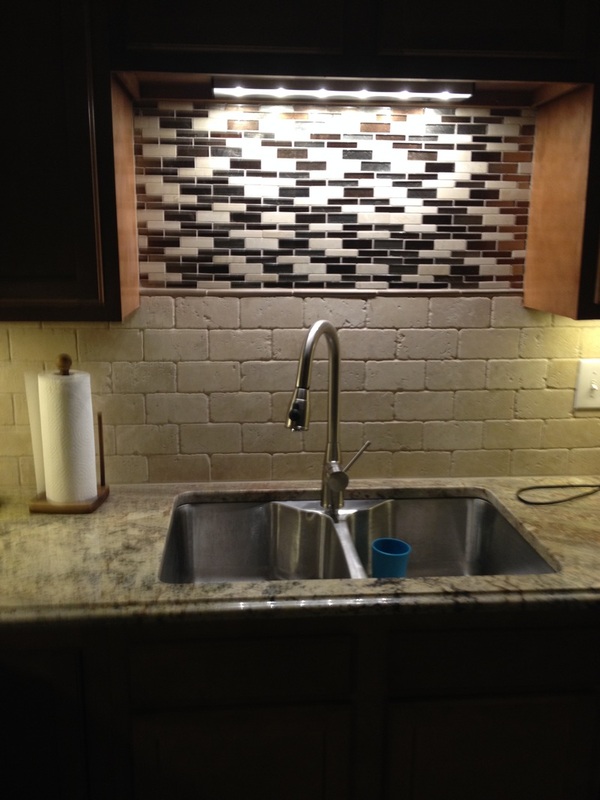 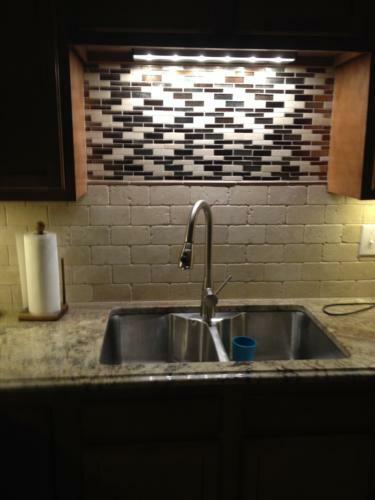 Flush mount vent. Red oak natural, picture-framed around fireplace. 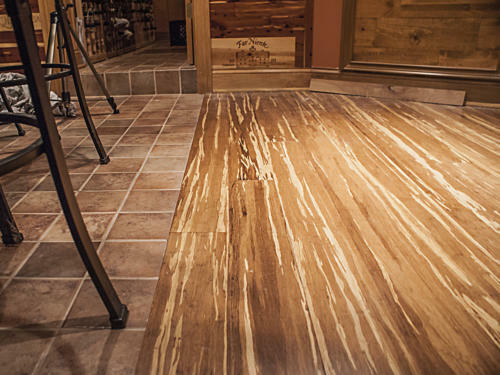 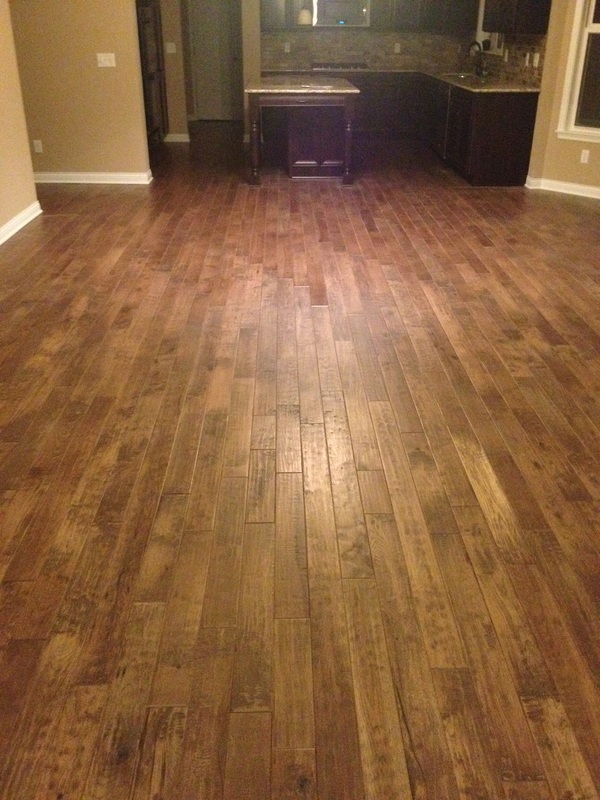 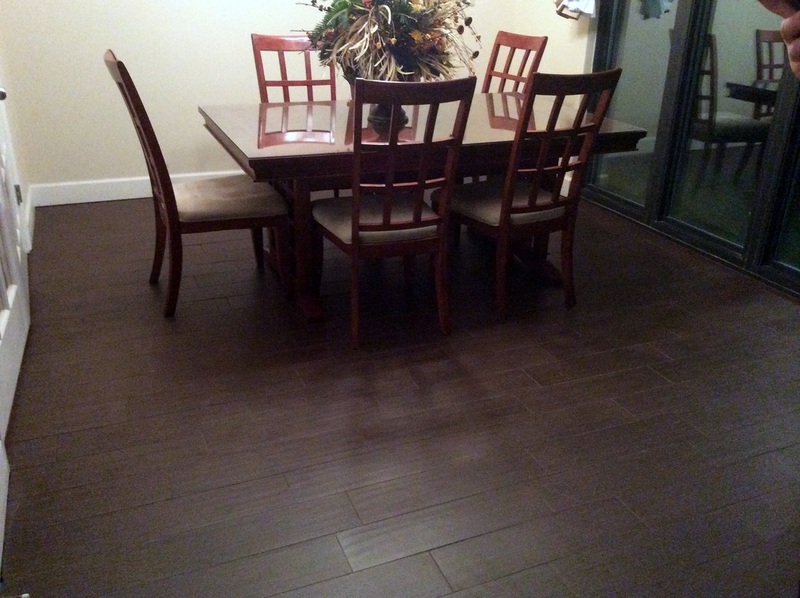 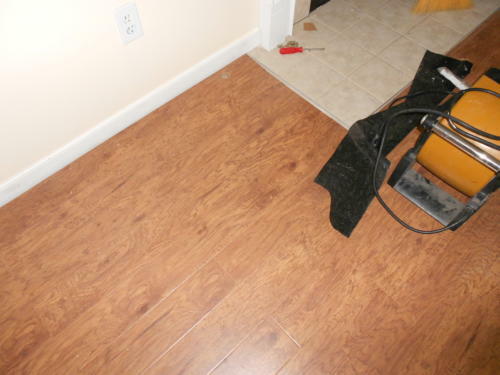 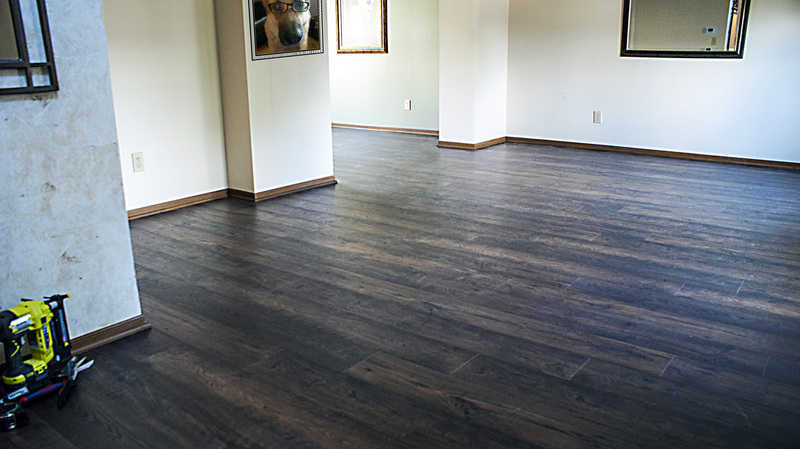 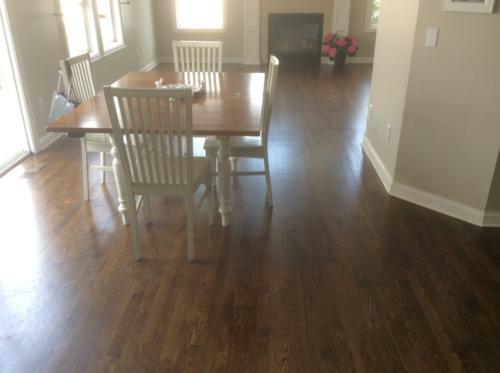 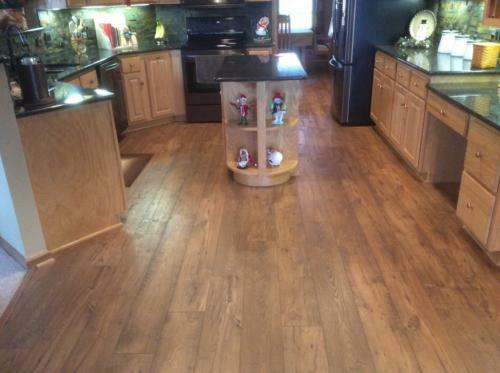 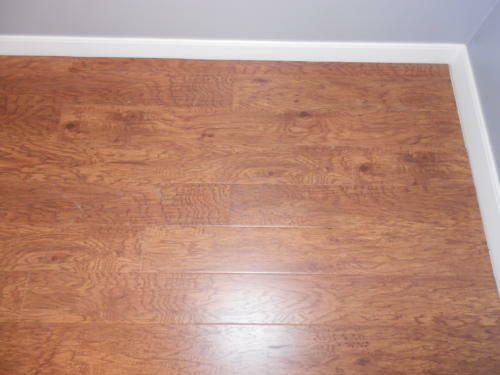 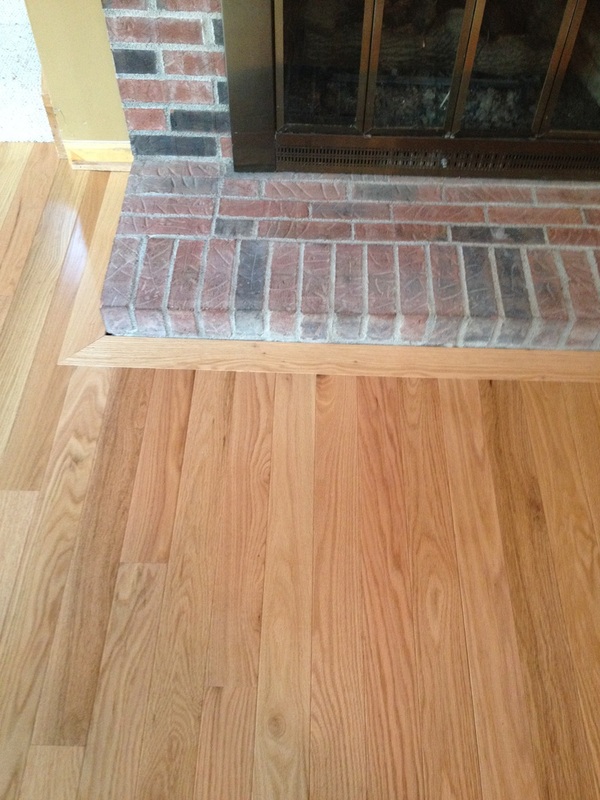 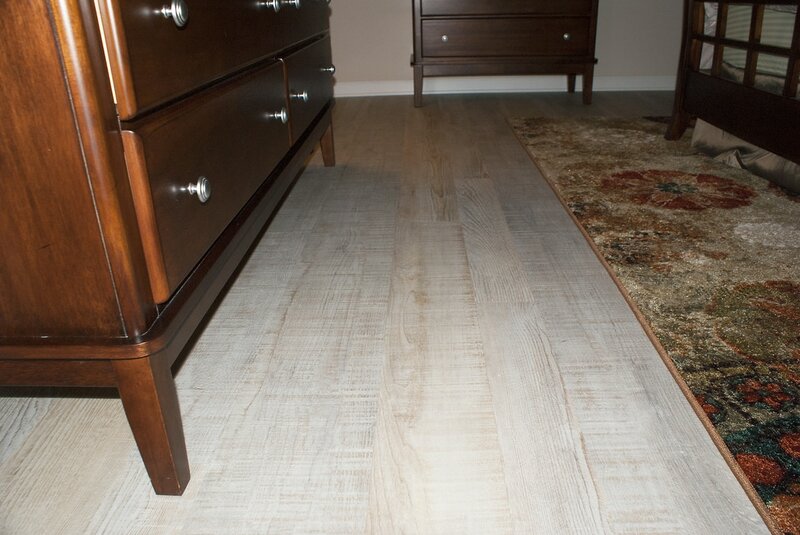 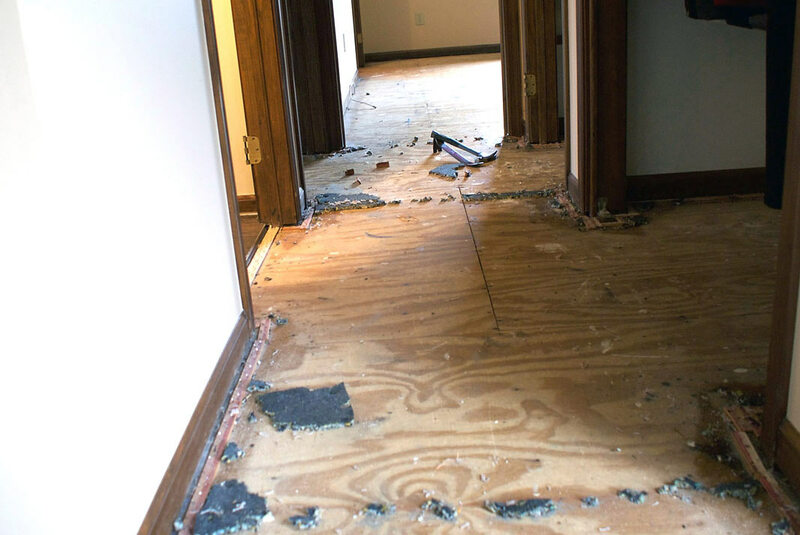 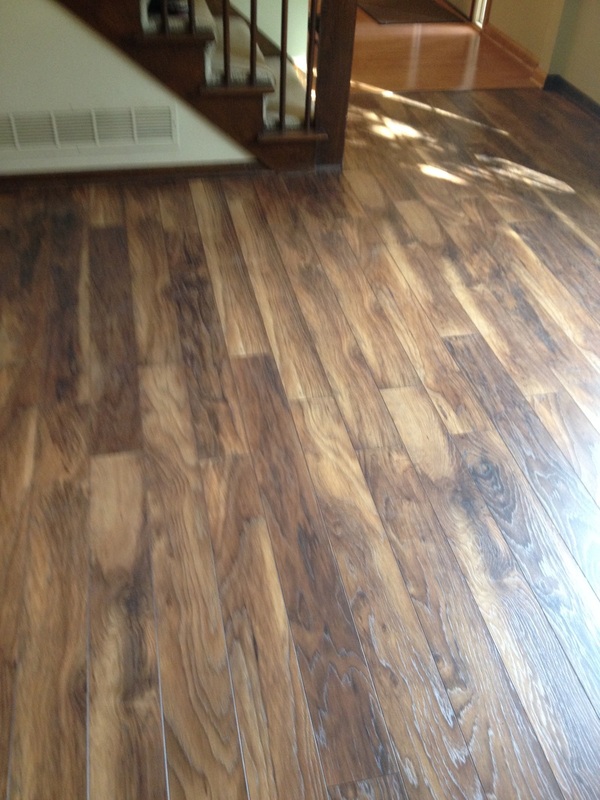 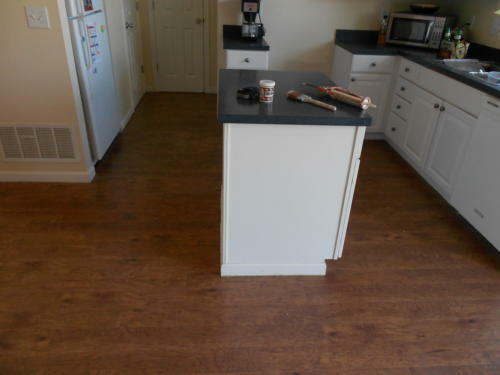 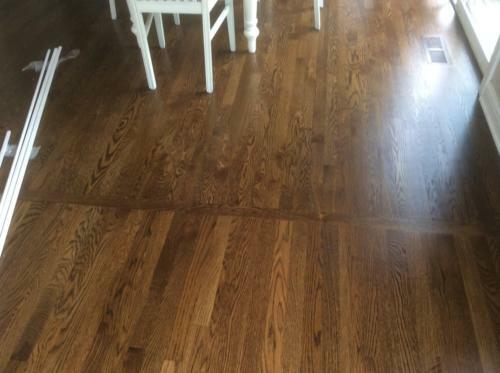 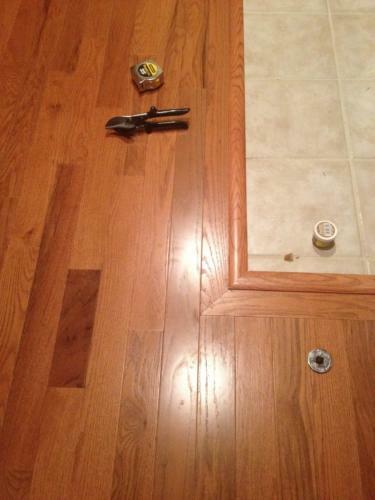 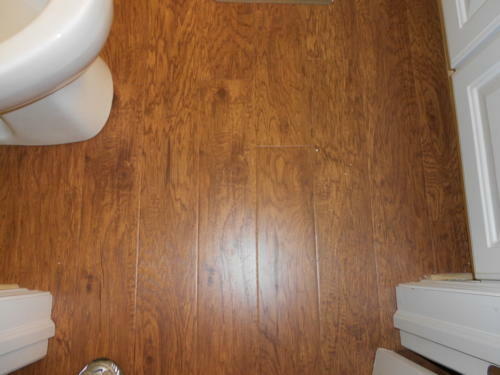 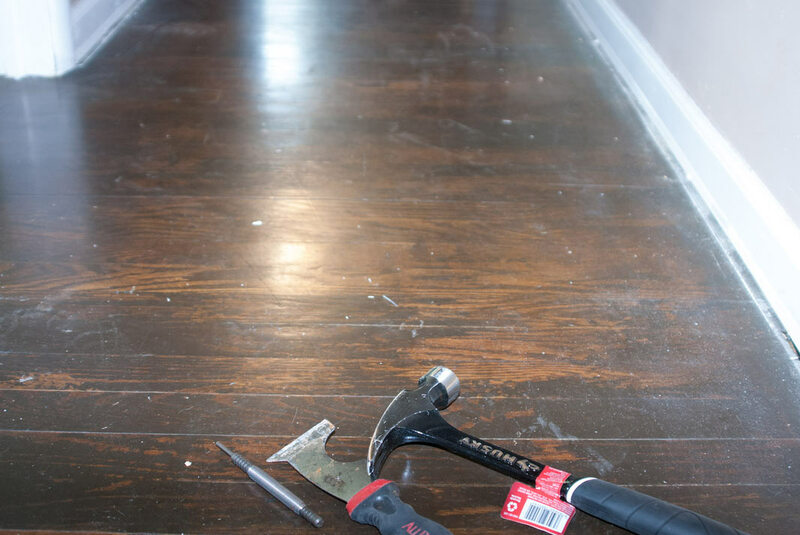 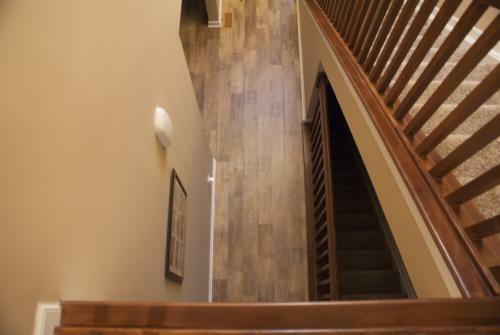 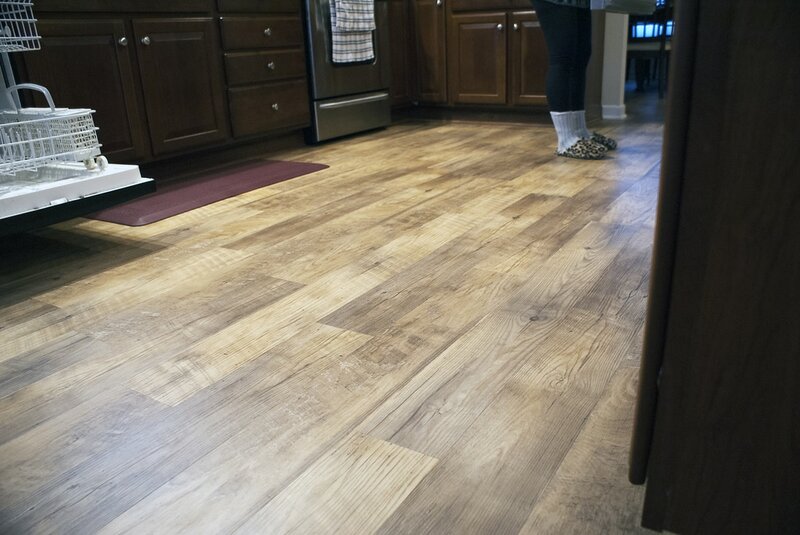 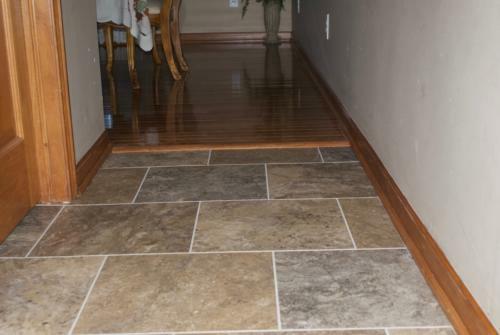 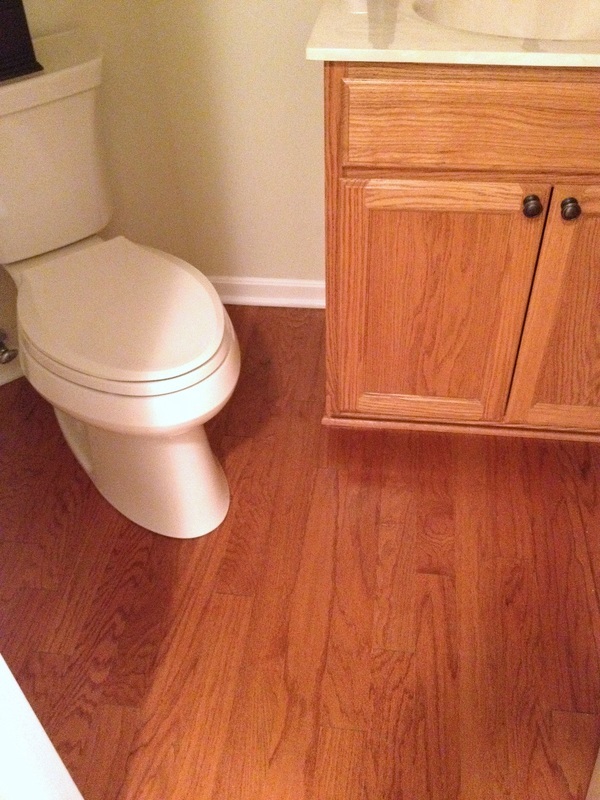 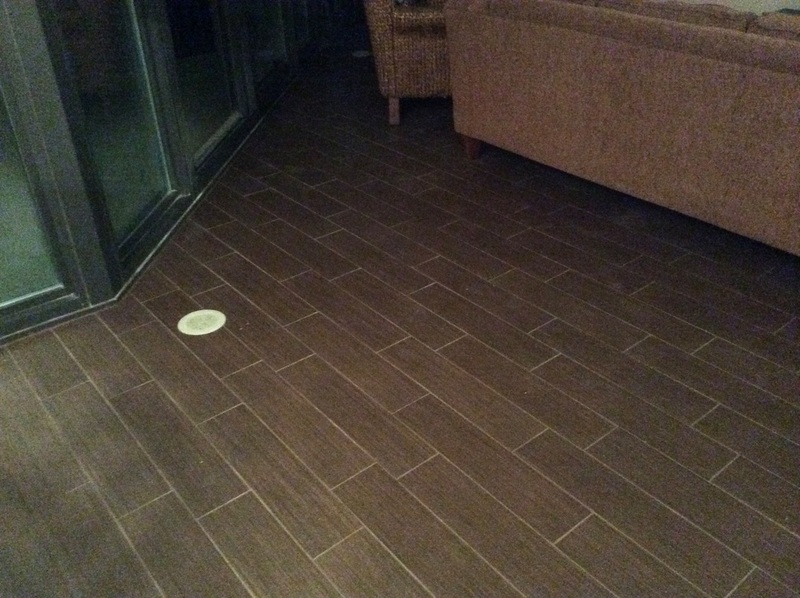 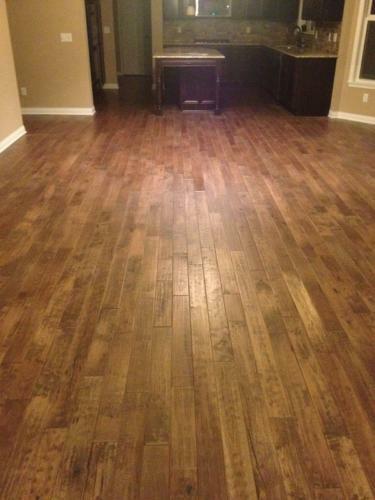 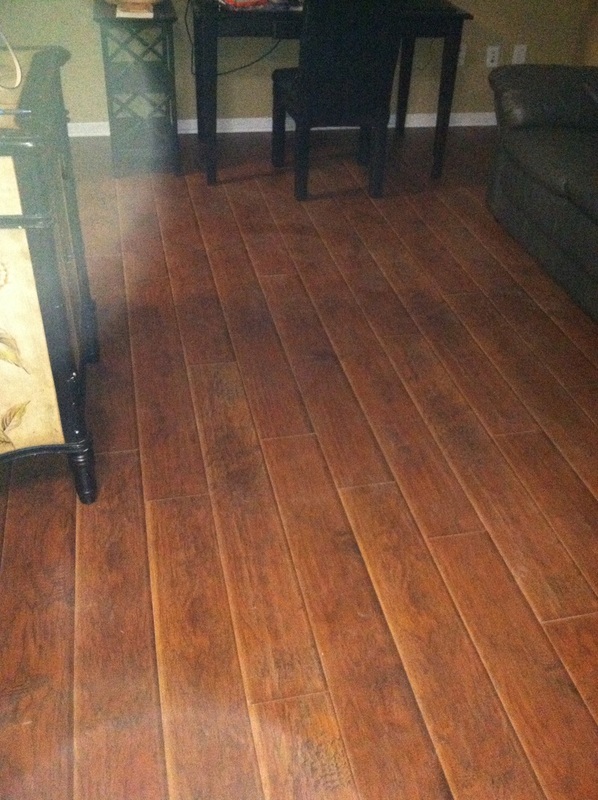 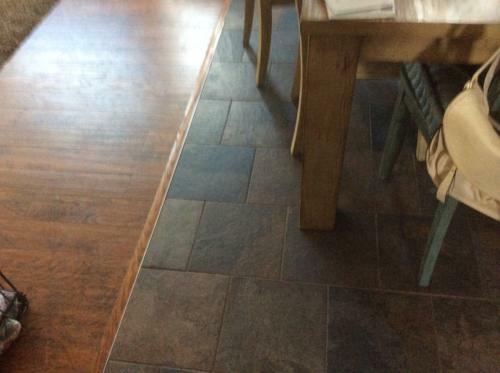 Extended this wood floor by tying in or "toothing in" hardwood planks. 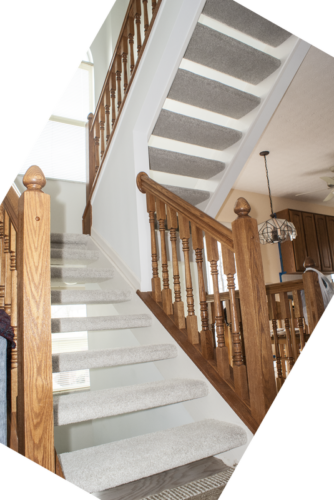 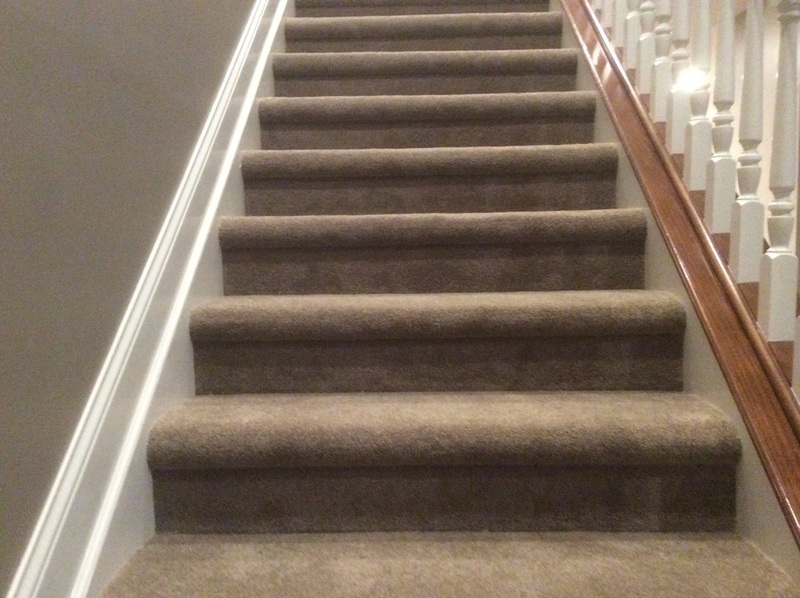 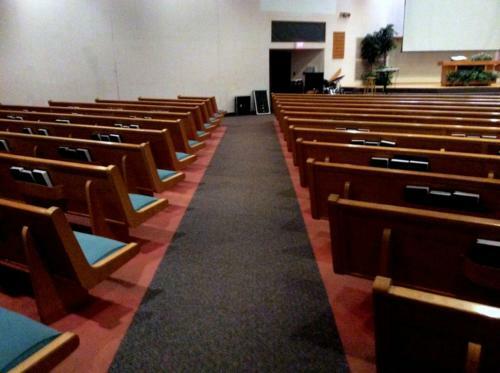 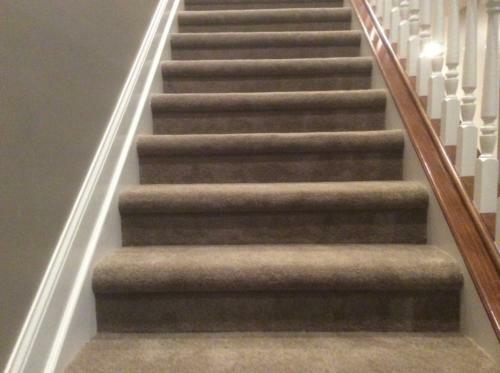 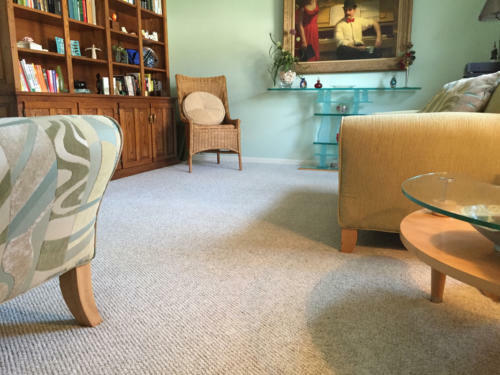 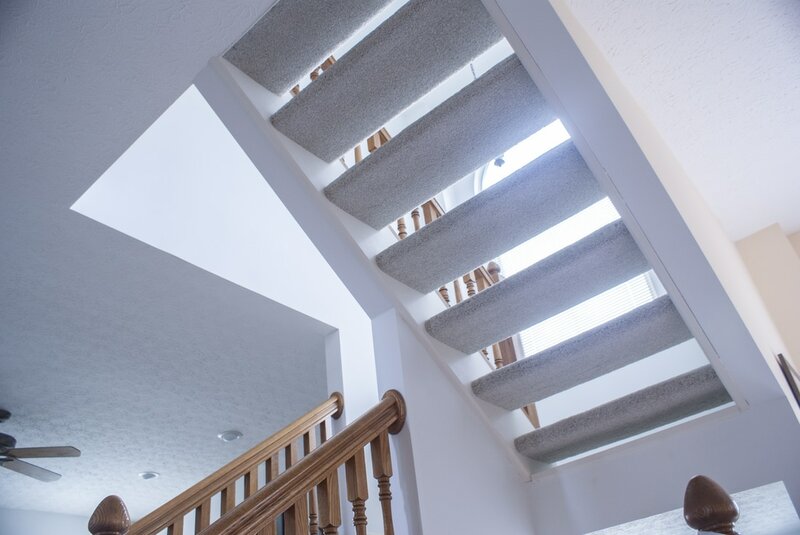 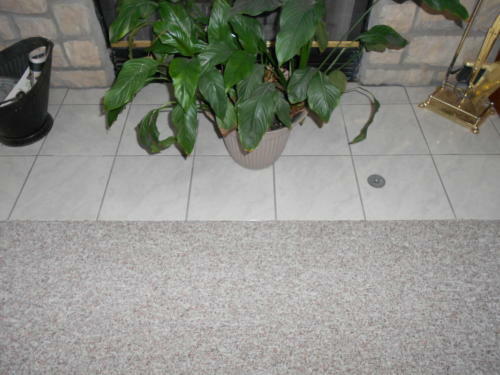 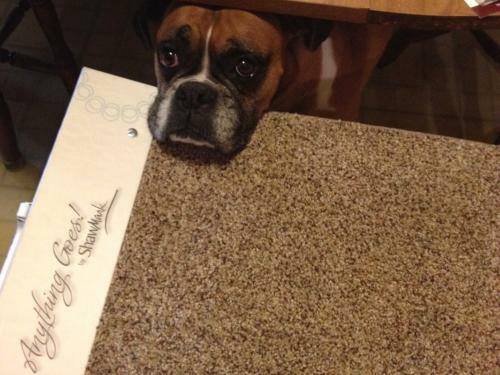 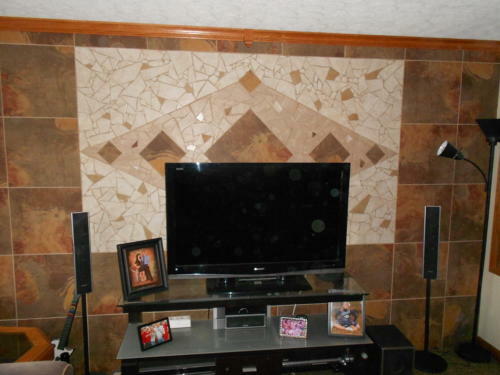 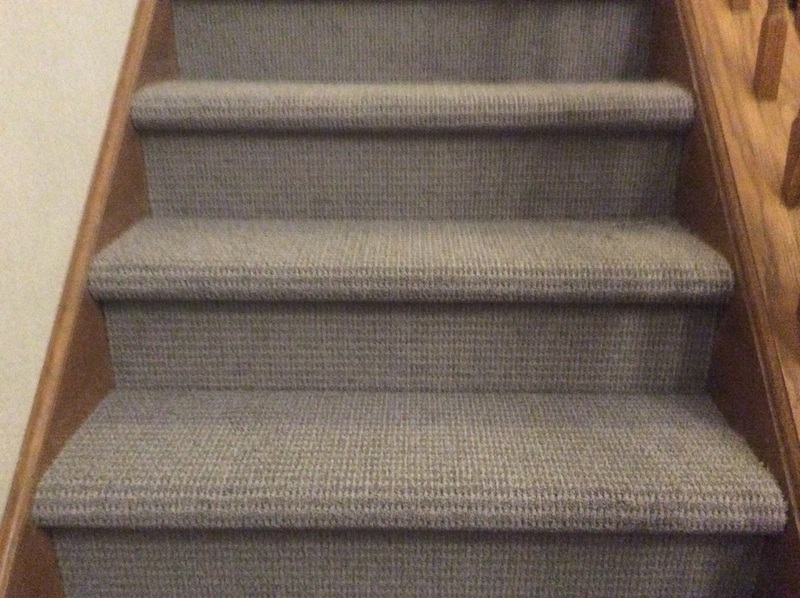 Carpet choices are virtually endless. 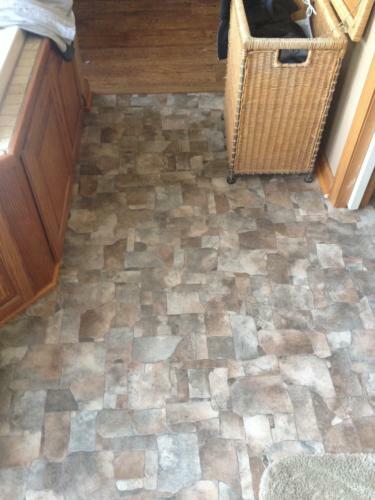 This one is Berber. 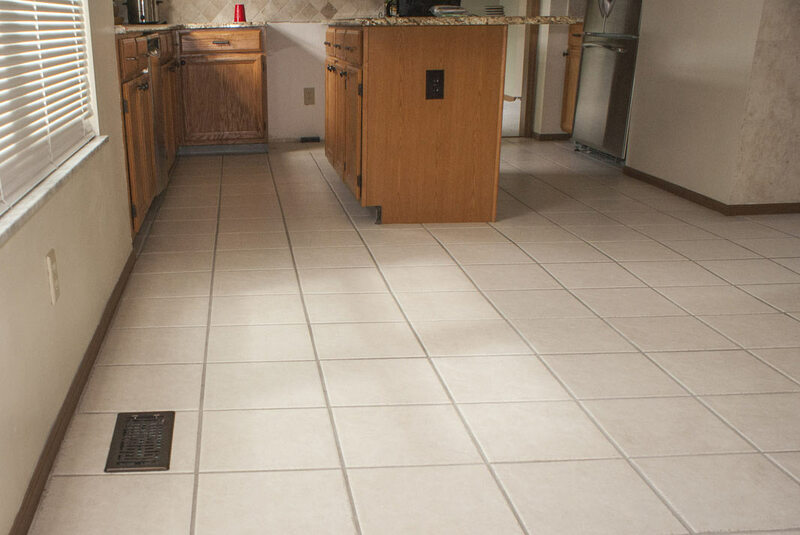 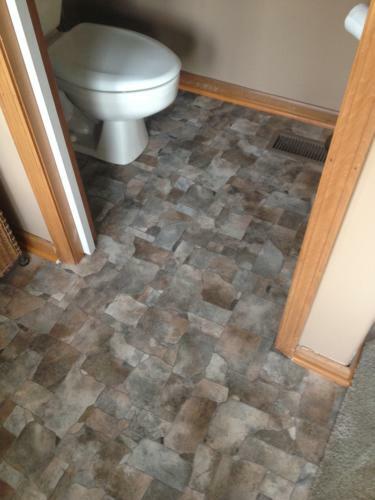 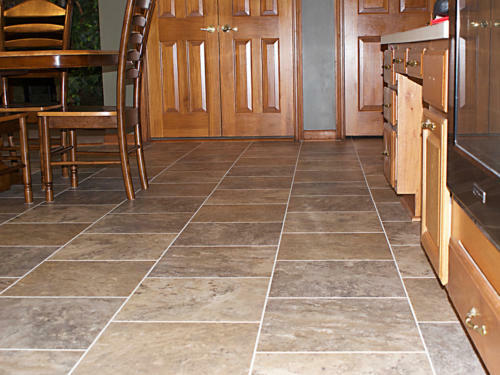 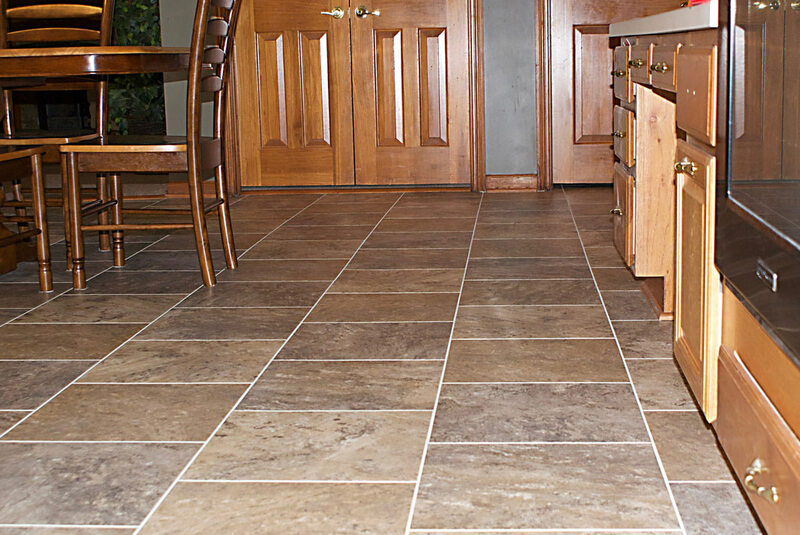 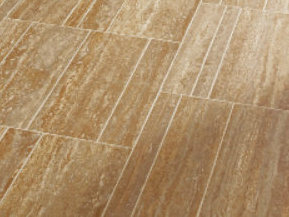 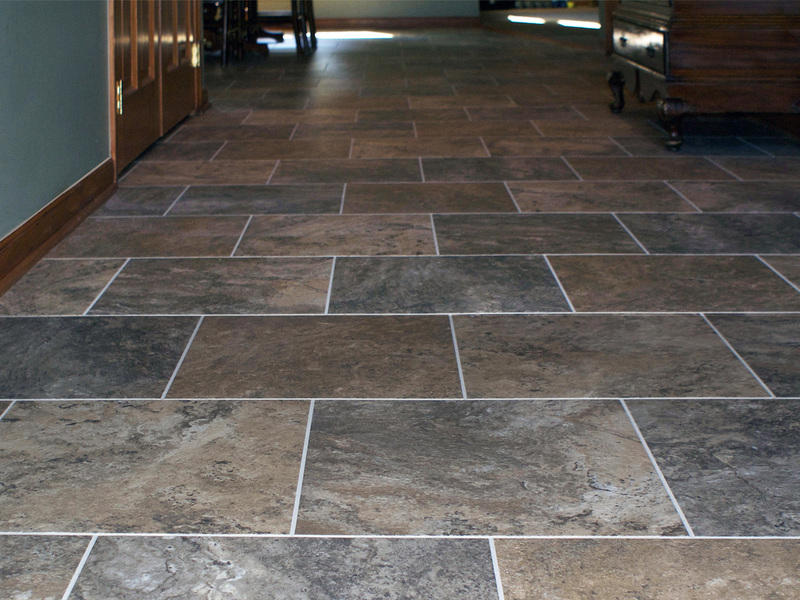 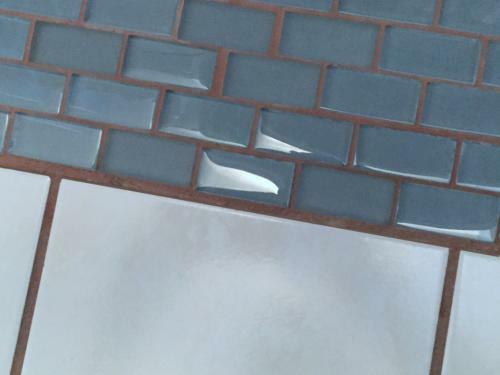 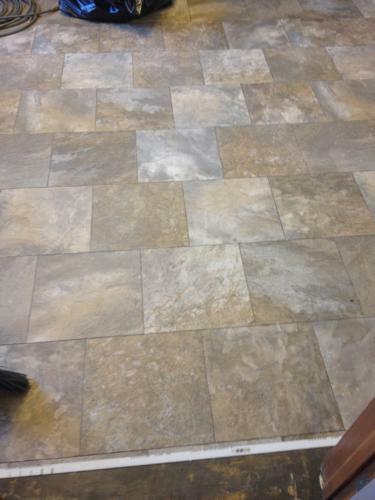 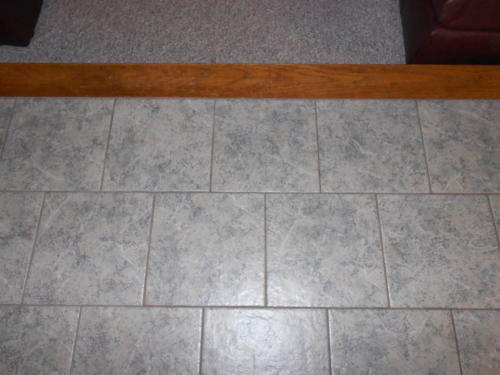 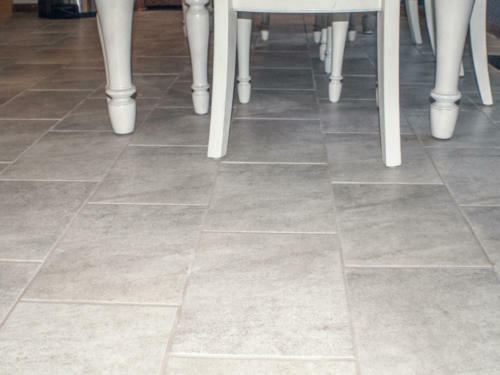 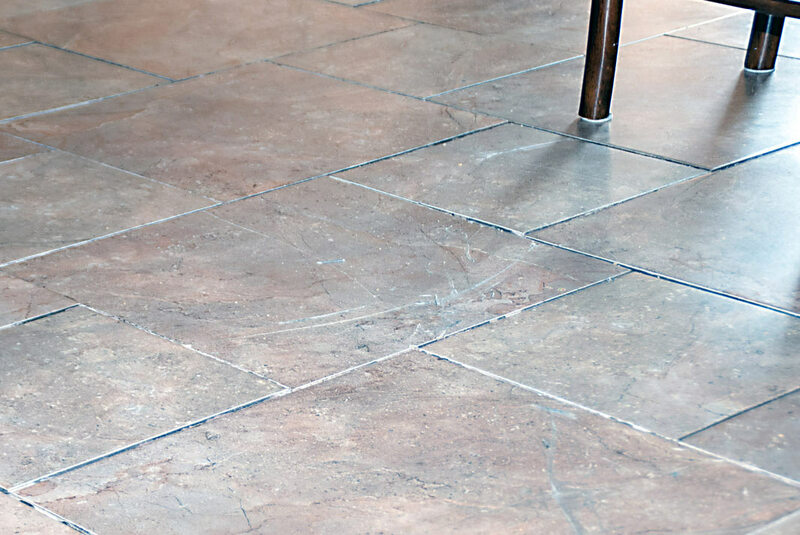 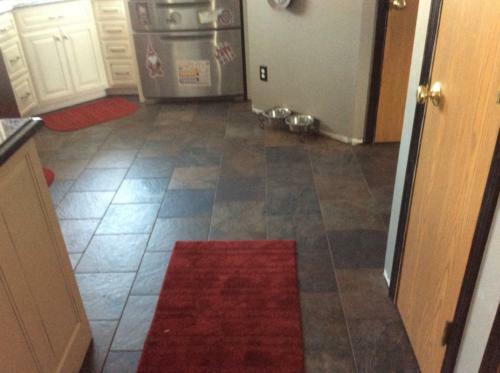 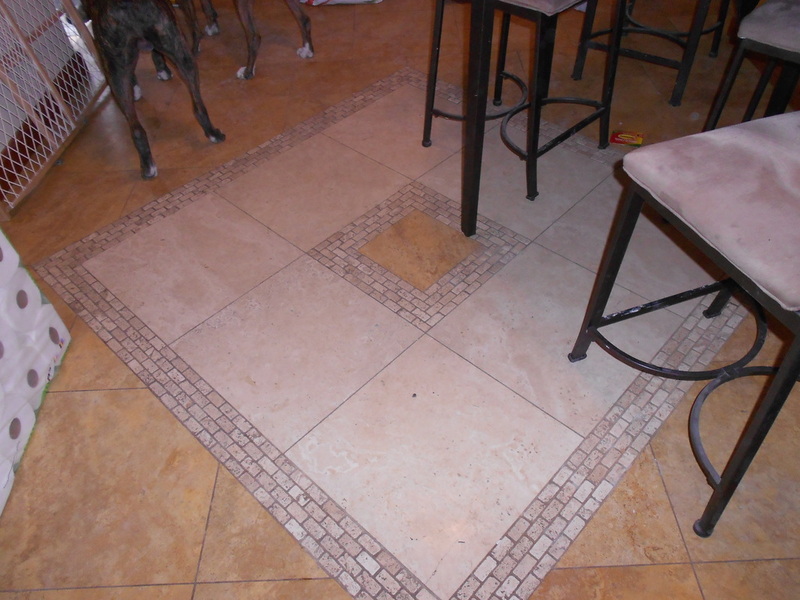 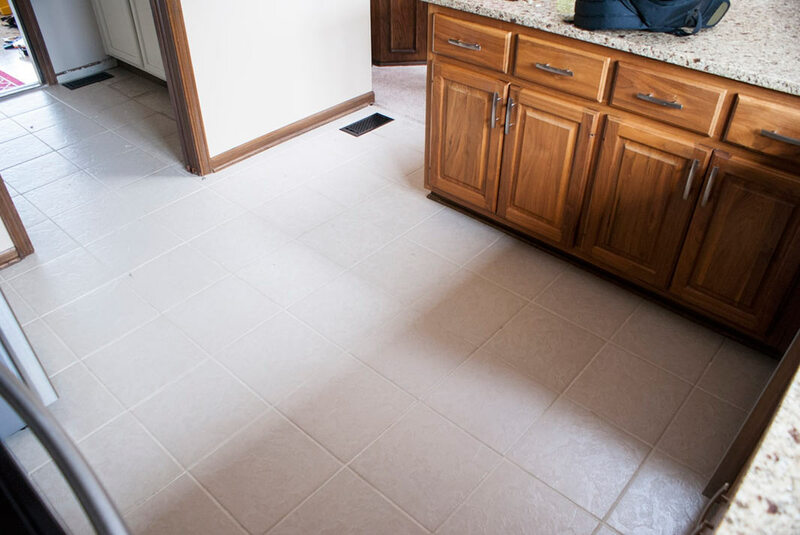 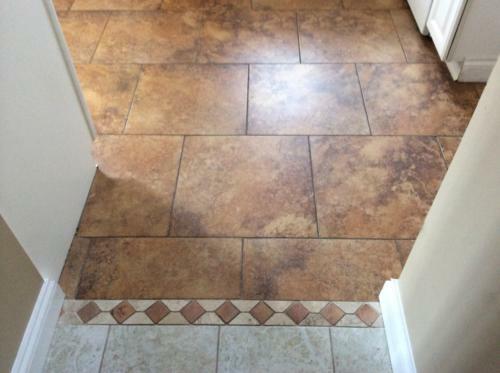 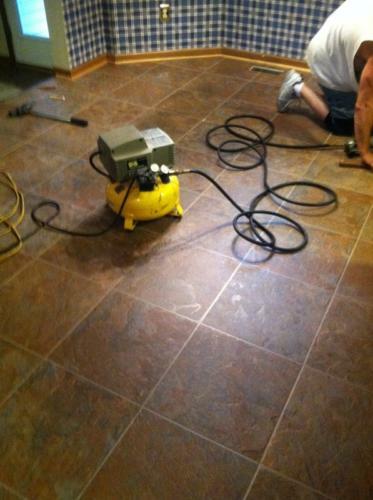 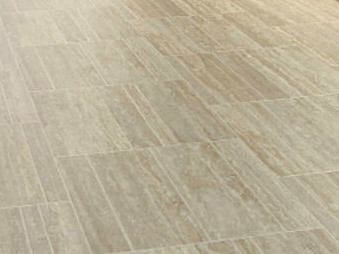 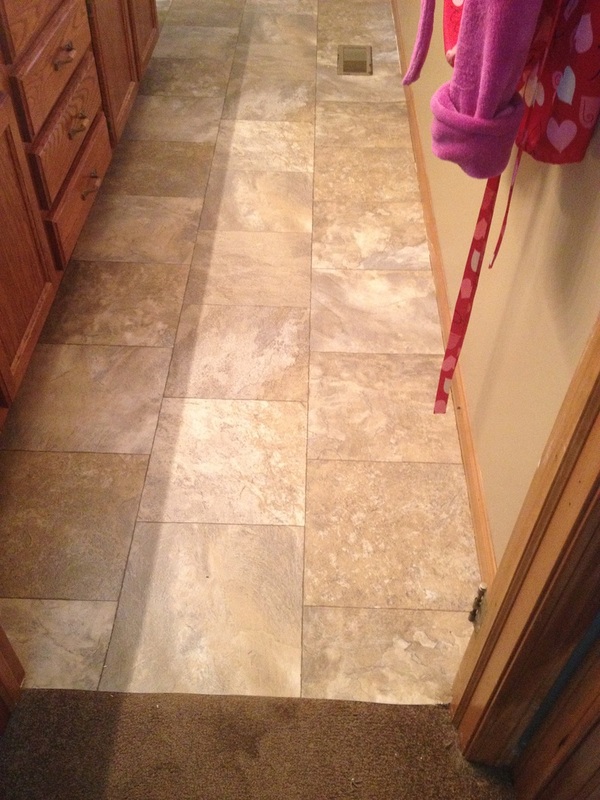 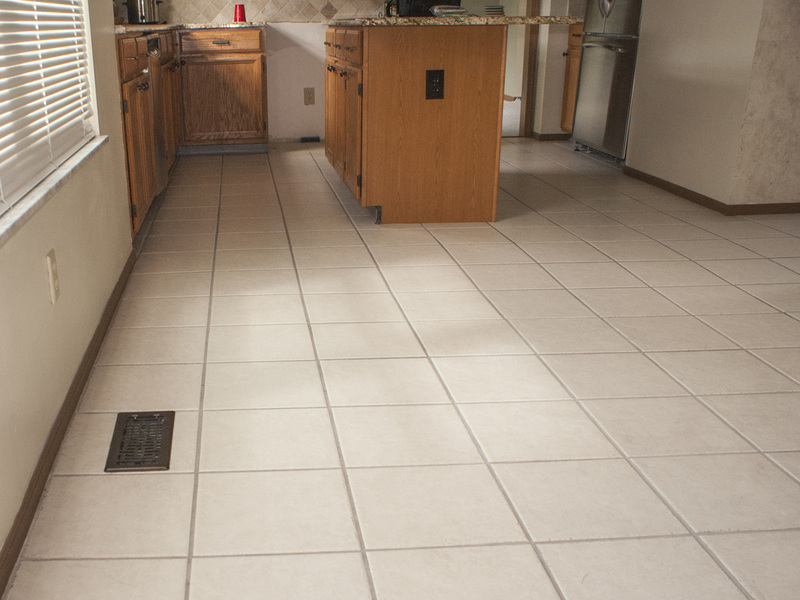 The original tile floor. 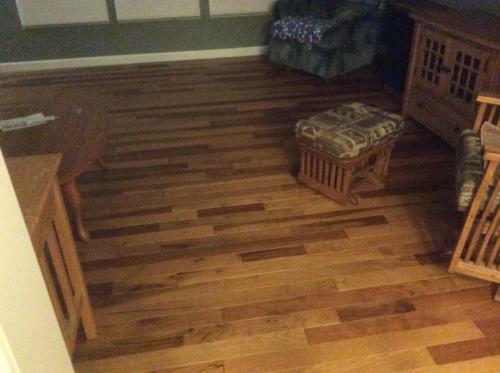 Not so bad, right? 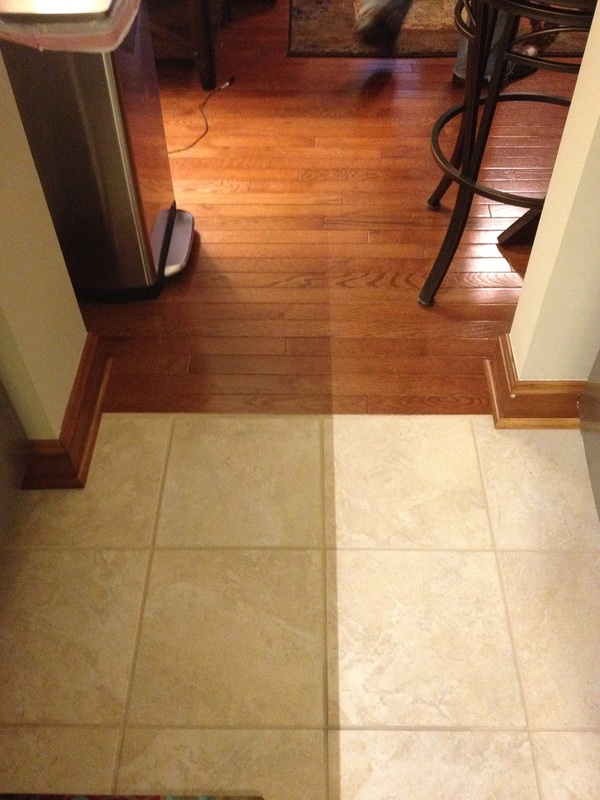 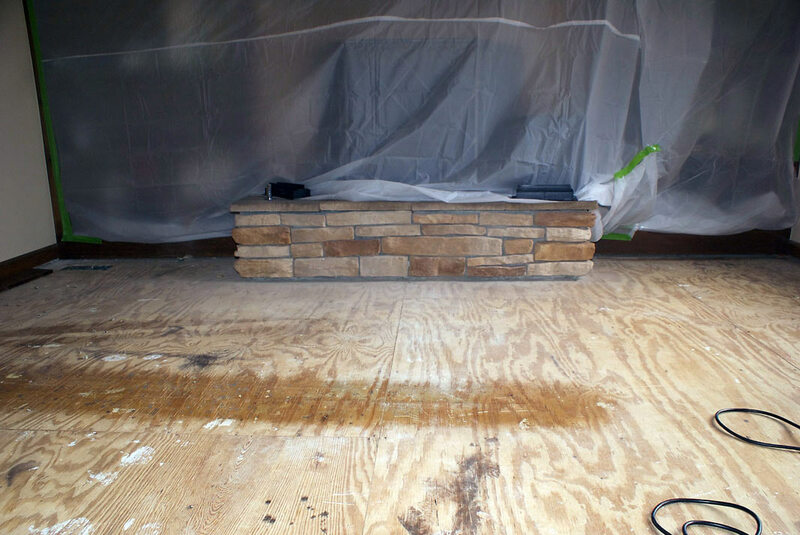 Until you see the "after." 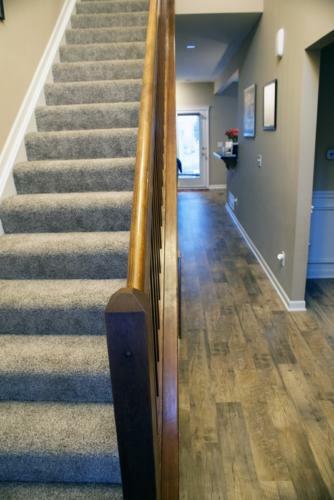 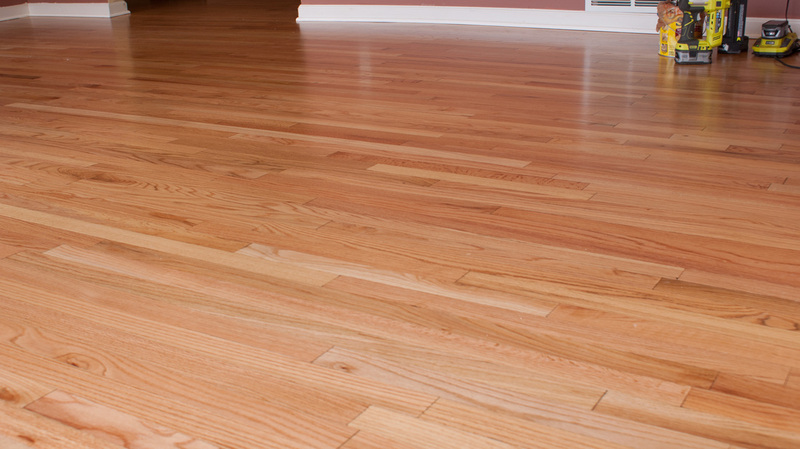 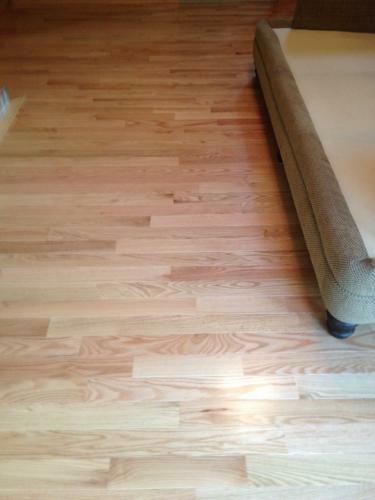 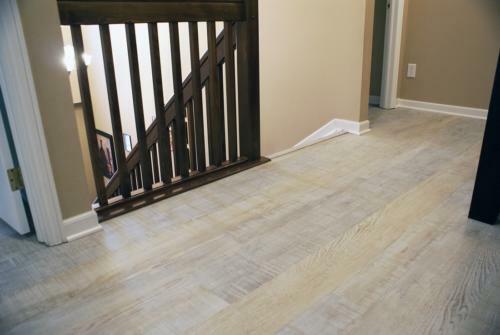 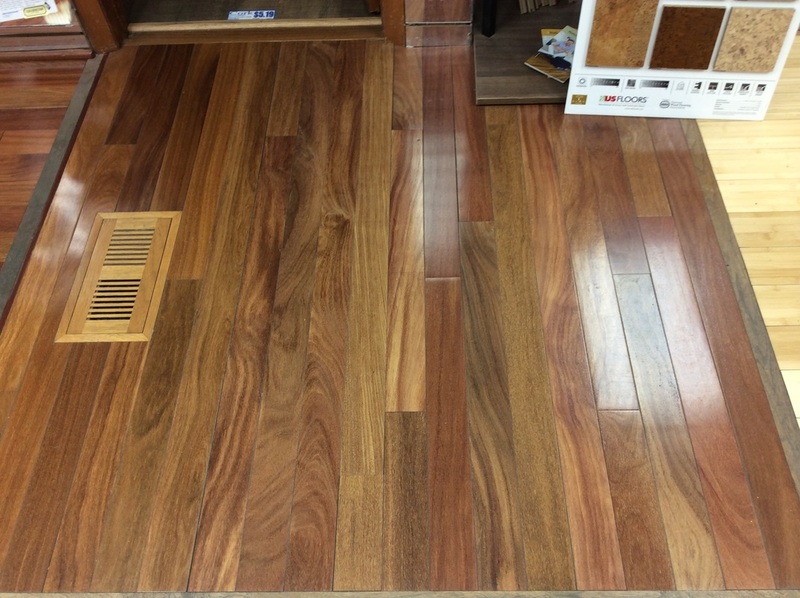 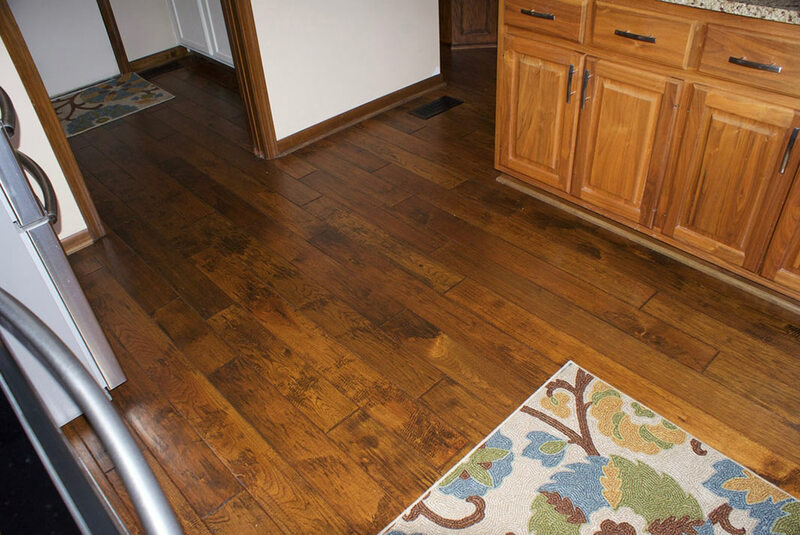 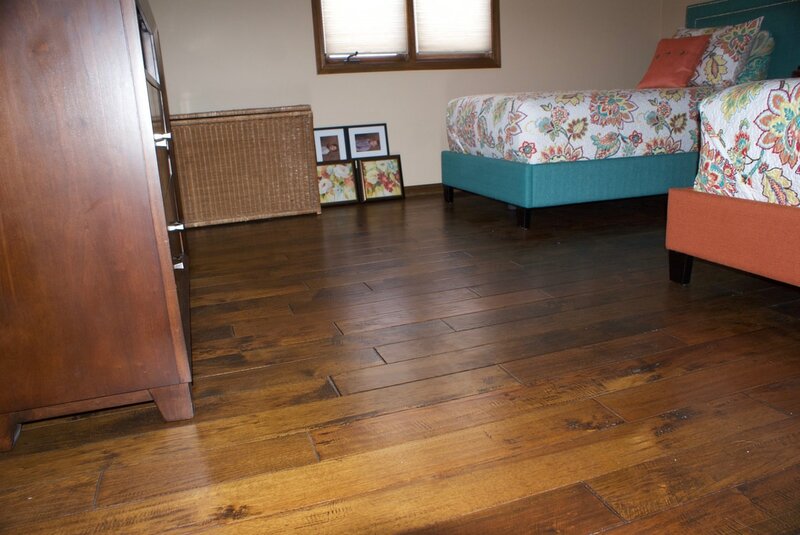 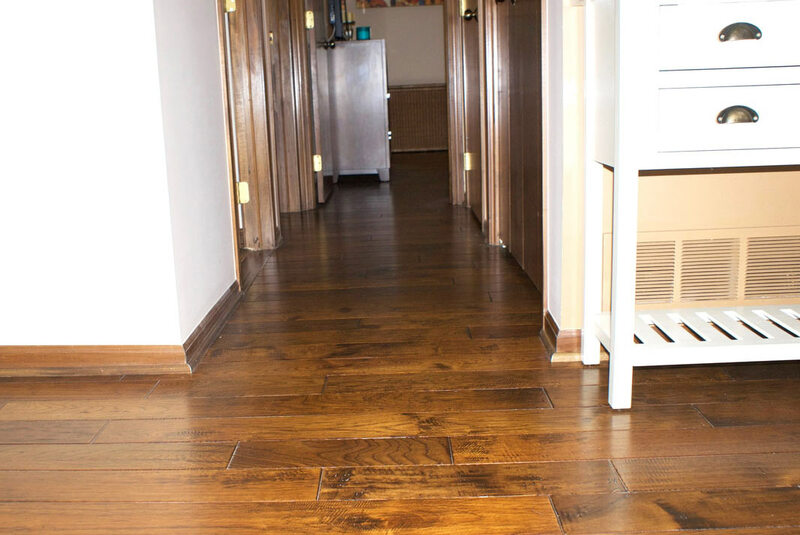 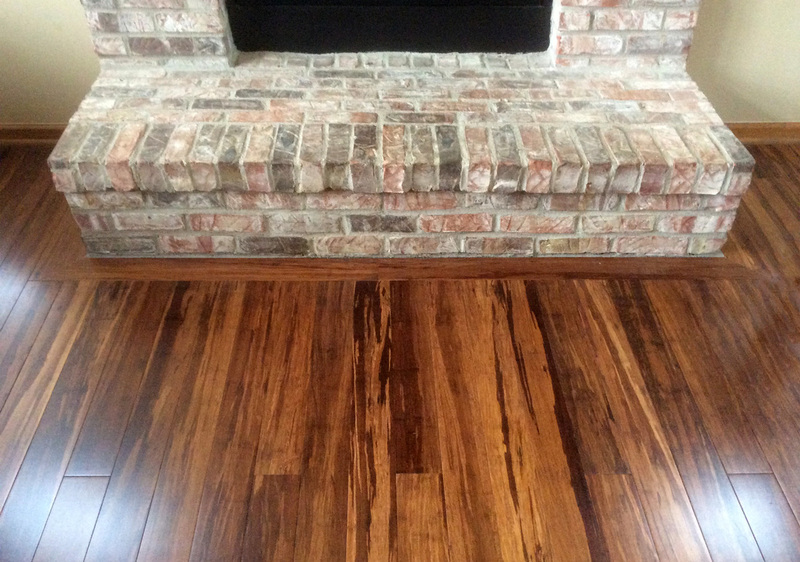 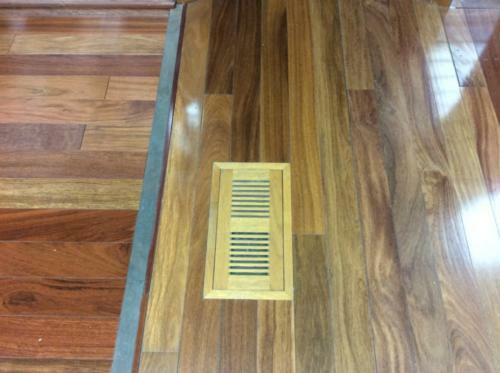 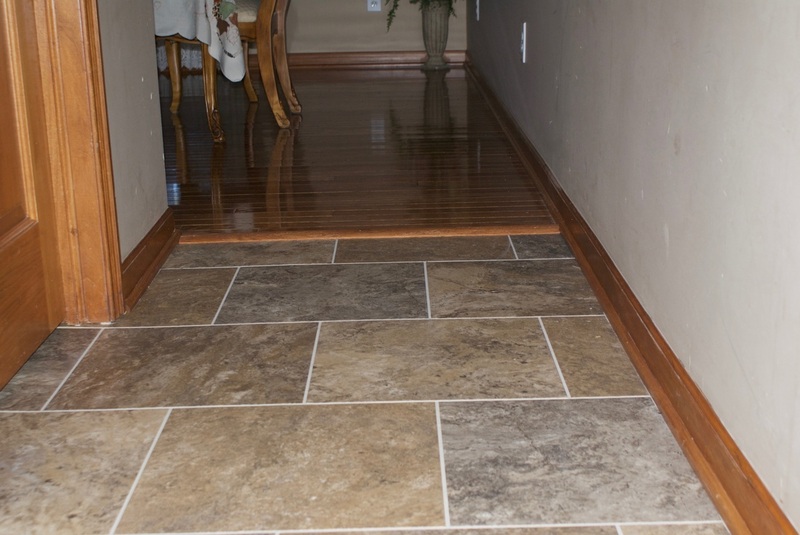 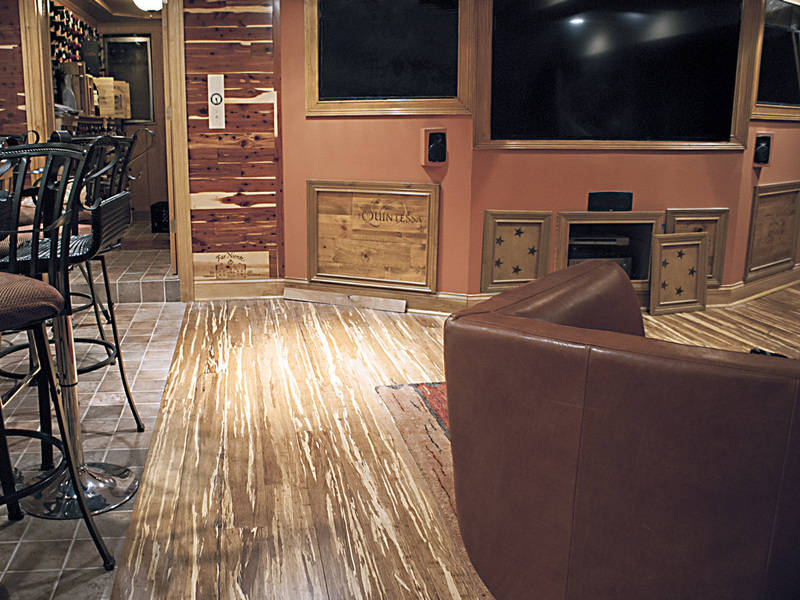 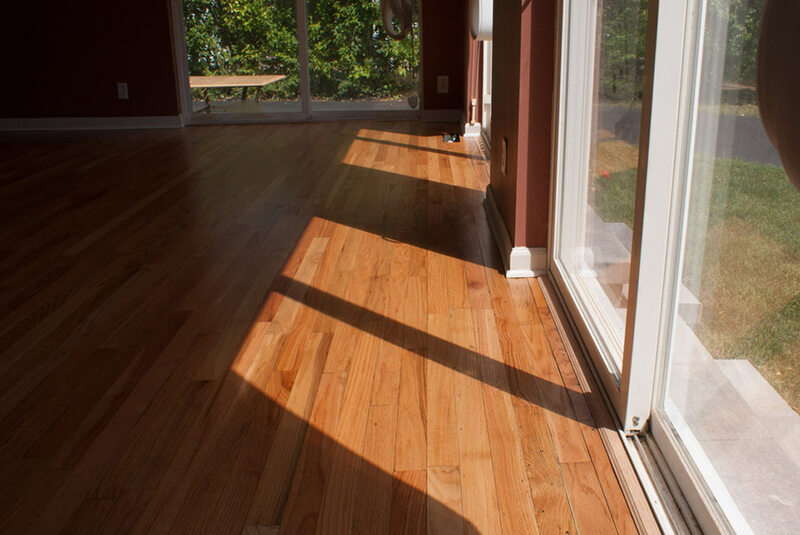 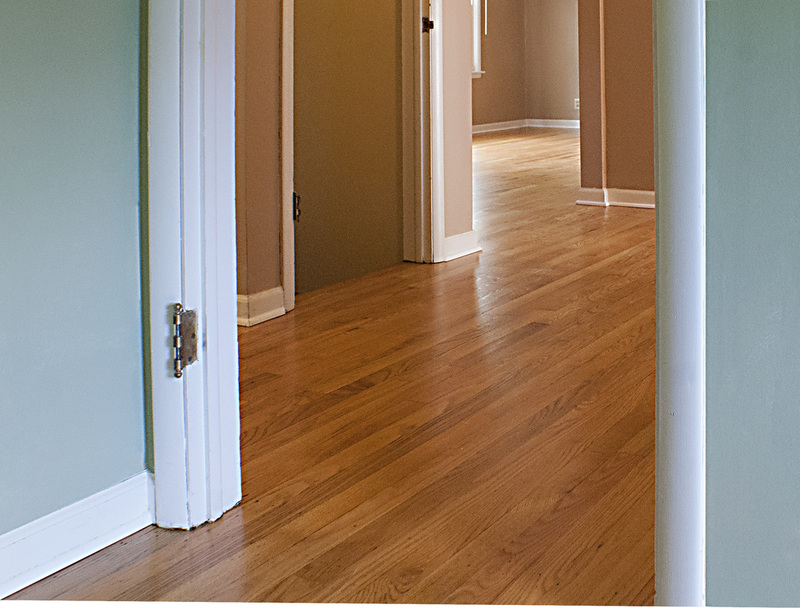 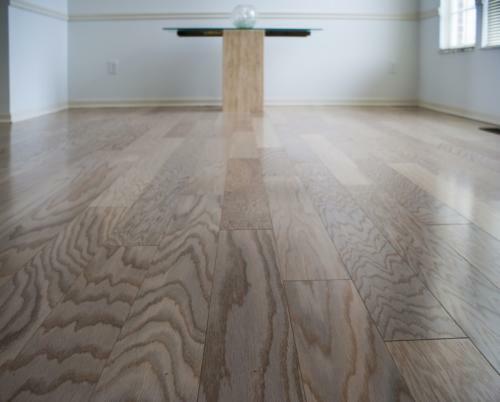 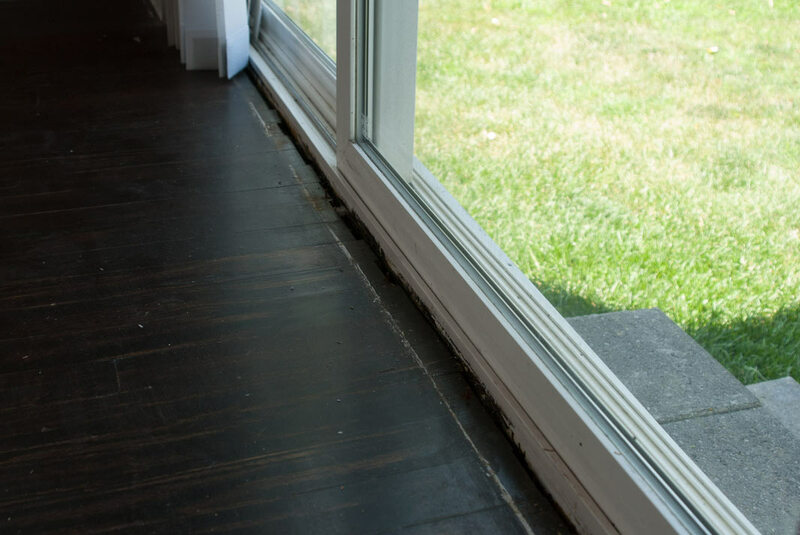 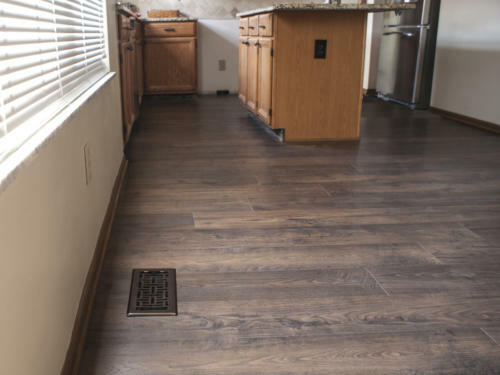 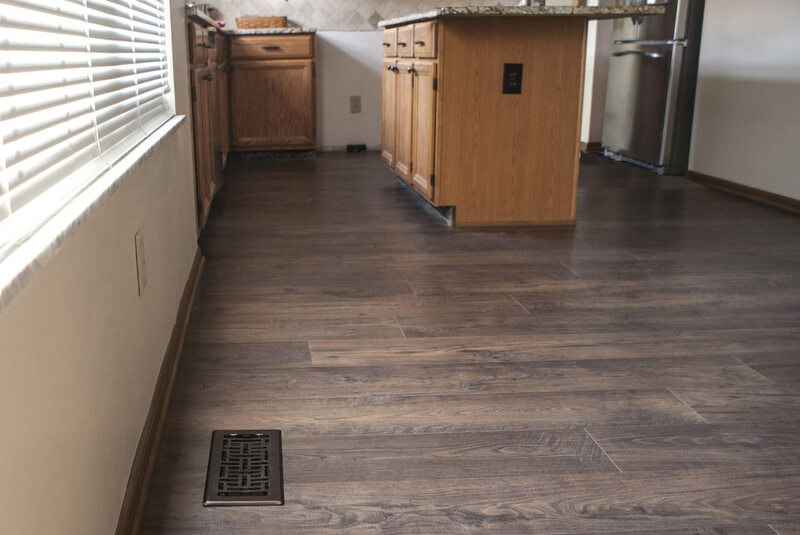 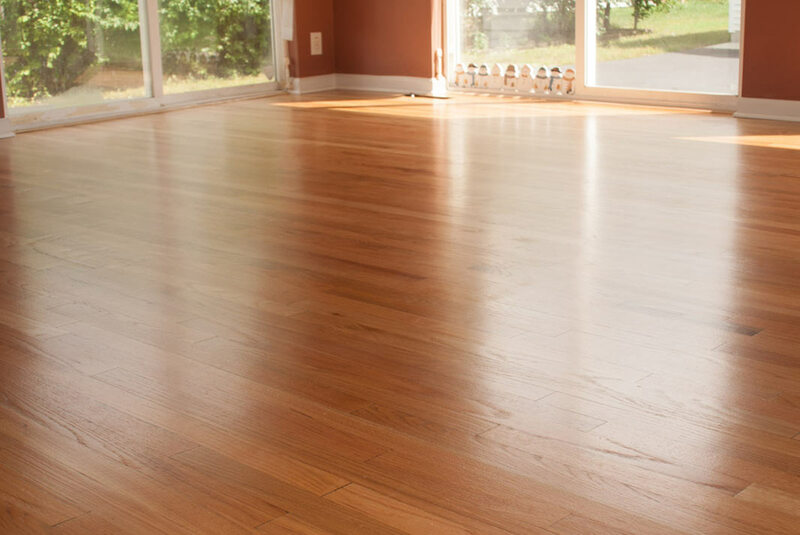 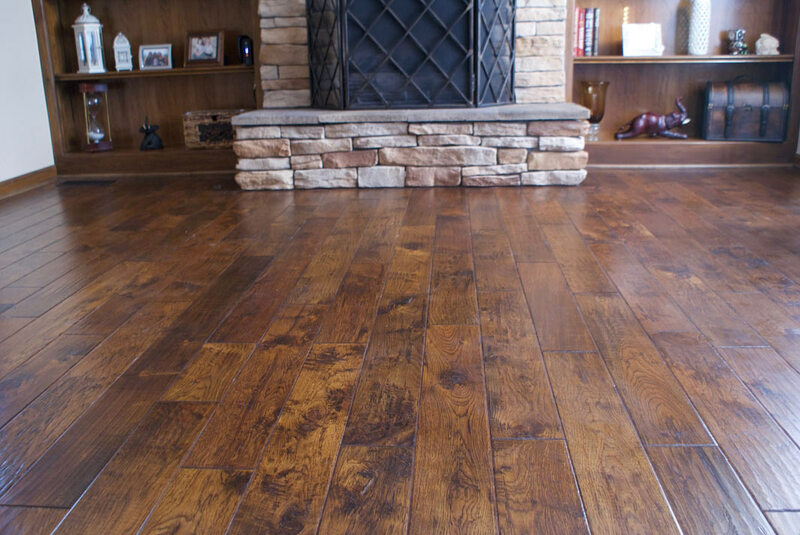 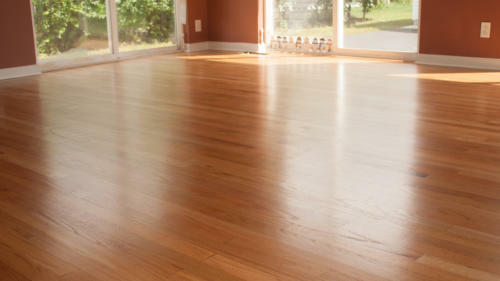 This hardwood floor pulls the space together and creates warmth.